A group of international female scientists has taken a close look at their profession and discovered the barriers to success – while also pinpointing the sometimes simple changes that can be made to attract more women into innovative industries and make the world a better place. The researchers are part of the committee for the international network working for women in coastal geoscience and engineering (WICGE) – spanning Australia, New Zealand, Ireland, France, the United Kingdom, Mexico and Spain. They found that although women make up almost a third of the CGE community, they represent only about one in five of its prestige roles. The researchers analysed the gender representation in the boards and committees of nine societies, 25 journals, and 10 conferences; additionally, they launched a global survey and obtained responses from 314 people. The findings are published today in Nature Publishing Group's social sciences journal, Palgrave Communications. 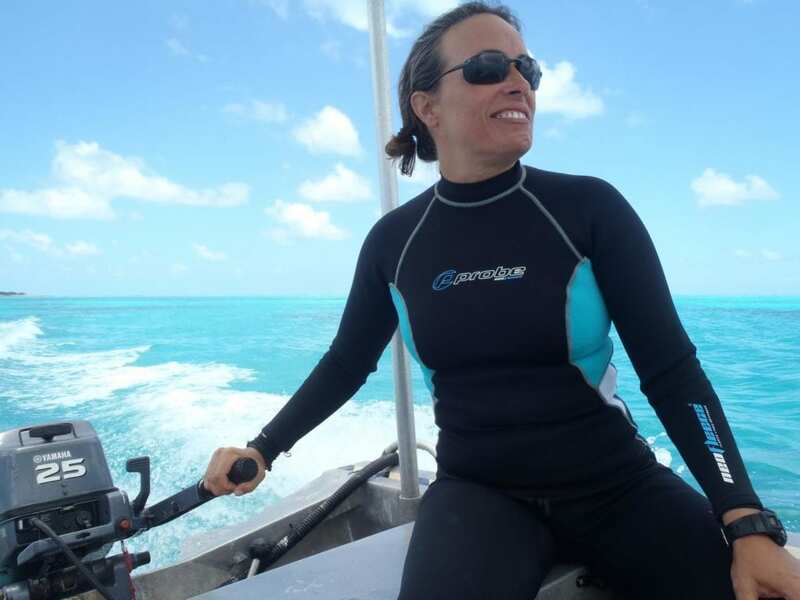 Lead and corresponding author Associate Professor Ana Vila-Concejo who is co-leader of the University of Sydney's Geocoastal Research Group and deputy director of the One Tree Island Research Station on Australia's Great Barrier Reef, said the solutions and suggestions were relevant for women in science and more generally. "Our findings are important not only for our field of research but also for other fields in science, technology, engineering and mathematics – and beyond," said Associate Professor Vila-Concejo, from the Geocoastal Research Group in the School of Geosciences. "Reading the survey responses was harder than we had anticipated; I could not read all responses in one go as I was in tears. "We found flagrant examples of inequality that included dramatic decisions such as an early career researcher deciding to undergo an abortion out of fear of jeopardising her chances of securing an academic position," Associate Professor Vila-Concejo recalls. Gender stereotyping – was amongst the most common manifestation of inequality in CGE. Stereotyping of women in STEM as not being as competent (or being incompetent), and not being taken seriously, is a key theme. The "boys club" – in the experience of one survey respondent: "During a job interview, the lead engineer (male) was explaining how they have the 'boys club' here at the office. They did offer me the job, but I didn't want to work in that type of environment." The "maternal wall" results from expectations that a woman's job performance is affected by her having children. Microaggressions and harassment – being overlooked and ignored in favour of male colleagues was a key issue. For example, one respondent noted: "Getting my first big grant and employing a male post doc – our project partners treated him as the boss." Another respondent recalled comments about looks, such as "comments on my 'pretty face' being an asset for attracting clients". Established that women represent 30% of the international CGE community, yet there is under-representation in prestige roles such as journal editorial board members (15% women) and conference organisers (18% women). Our data show that female under-representation is less prominent when the path to prestige roles is clearly outlined and candidates can self-nominate or volunteer instead of the traditional invitation-only pathway. By analysing the views of 314 survey respondents (34% male, 65% female, and 1% 'other'), we found that 81% perceive the lack of female role models as a key hurdle for gender equity, and a significantly larger proportion of females (47%) felt held back in their career due to gender in comparison with males (9%). Shari Gallop from Macquarie University said: "The first four steps we recommend can be successfully implemented immediately, while others need institutional engagement and represent major societal overhauls." The contributing organisations for this paper are: the University of Sydney, Macquarie University, University of Wollongong, Bournemouth University, University of Waikato, Edge Hill University, University of Seville, National University of Ireland Galway, Flinders University, University of Baja California, University of Newcastle, University of Bordeaux, UNSW Sydney.